More top programs are using multiple pitchers to get through a season. MADISON — In two-time defending Class A North regional champion Skowhegan, they have the gold standard. The arms the Indians have been throwing at teams for the last two seasons would both be No. 1 starting pitchers on virtually every other team in the area. This season, senior Ashley Alward and junior Sydney Ames have combined to throw four no-hitters in just 10 games. It’s the third straight season in which Indians coach Lee Johnson has split the pitching duties during the regular season, almost exactly down the middle. Each has thrown 34 innings, with Alward allowing only one earned run and Ames just two for the undefeated Indians. 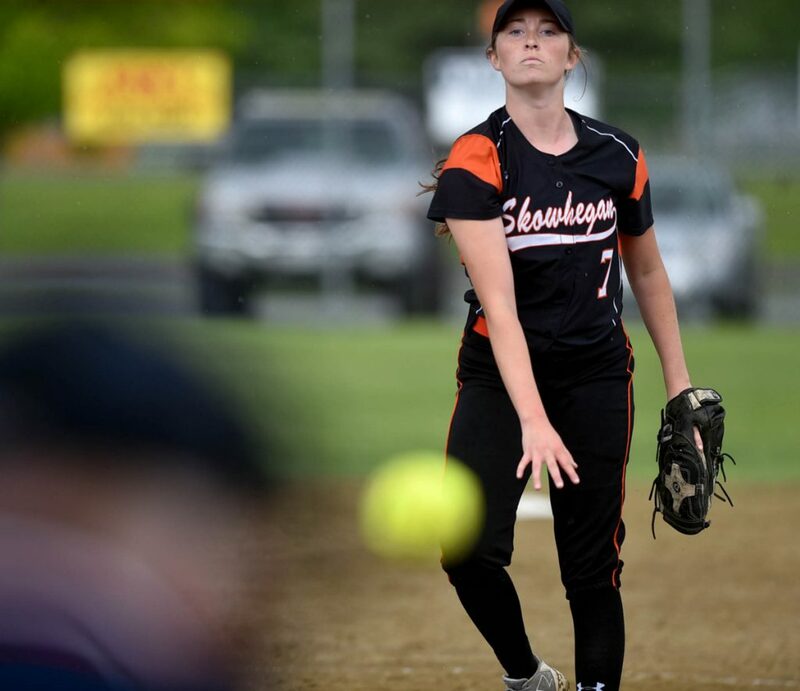 Where softball teams have traditionally relied on one arm to get them through an entire year, Skowhegan has re-written the script. Though Johnson certainly wasn’t the first to try to make the move from pitcher to pitching staff, he’s arguably the most successful in central Maine. The trend appears to be catching on elsewhere. In Winslow, the Black Raiders entered the week as the No. 2 team in Class B North, using two pitchers to get to 9-3. “Maybe I got the idea from them,” said Winslow head coach Steve Bodge, who was an assistant with Johnson six years ago before taking over the Black Raiders’ post. Winslow opened last season with Broghan Gagnon expected to handle the bulk of the load, but Paige Trask emerged as a quality arm. By the end of the regular season, the two were alternating, and Bodge carried that game plan over into this spring. Through the Raiders’ first 12 games, Trask has thrown 35 innings, Gagnon 27. Trask pitched the team’s most recent game Wednesday at Medomak Valley. Both Bodge and Johnson like the same thing about the two-pitcher approach. They like the element of surprise. Unbeaten Madison (11-0), atop the Class C South standings, has employed a more traditional approach. Sophomore Lauria LeBlanc has started every game thus far for the Bulldogs, though senior Whitney Bess has worked a few innings in relief. Madison coach Chris LeBlanc said he believes Bess could do the job if called upon, but he is reluctant to make the necessary change to his defensive alignment. LeBlanc will not close the door on using more than one arm in the future. Having two pitchers allows a coach to take some of the workload off their No. 1. 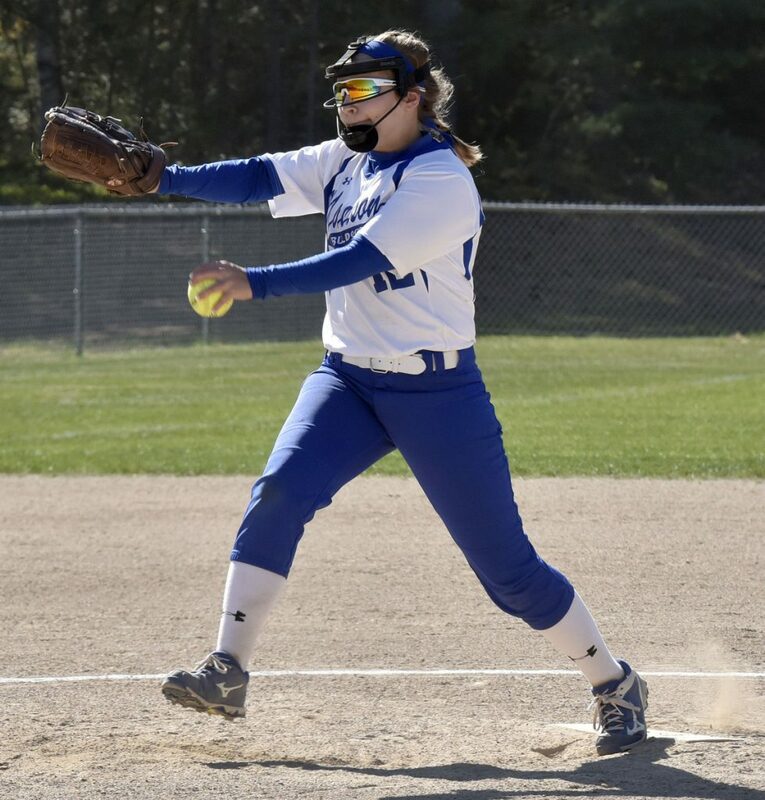 With spring in Maine being what it is, midseason games can add up quickly to four games in a week or three games in three days resulting from early-season postponements. “A lot of teams do it game in, game out with one pitcher, even if they’re playing six days in a row,” Bodge said. “Having two keeps them fresh, and it keeps them both ready to go every day. For all the pros of having two pitchers, there is also a negative. Johnson said he is careful to make sure neither Alward nor Ames go too long in between appearances, and this season he’s made more in-game pitching changes than ever before. “I’ll be honest, for me it’s been about me getting comfortable doing it,” Johnson said. “If things are going well, why take them out? I’ve only done it when we’ve had the lead and we’re in decent shape. I’ve not done it yet when we’re trailing. At the end of the season, both Johnson and Bodge — and other coaches using two pitchers — are forced to make difficult decisions. At some point, they know one of the two will be named the playoff starter, a role every player relishes. You have to do what is best for the team, they said. If nothing else, the competitive nature of the players and the position itself, takes over. It benefits the individuals — and the team as a whole.